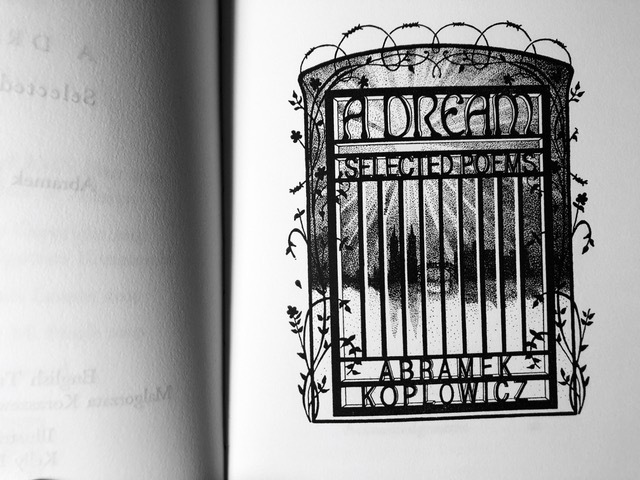 Four years ago I wrote about the poems of the Jewish boy Abramek Koplowicz and reproduced one of the poems, “A Dream”, that he wrote while living in the Lodz Ghetto during World War II (he was later sent to the camps and killed). Go have a look and read the poem; it’s heartbreaking. Now Kelly Houle has, after tremendous effort, turned that poem and others by Abramek into a book. A bit of backstory: Abramek has a living stepbrother who never met him, but who is still alive at age 94 in Israel. His name is Eliezer Lolek Grynfelt. After Abramek’s parents died, Eliezer found Abramek’s handmade pamphlet with the poems, which the father had kept. Eliezer was immensely moved, and got the poems translated into Polish and Hebrew, and also got a monument to Abramek erected in Israel as well as a street named after the lad in the Polish town where he was born. 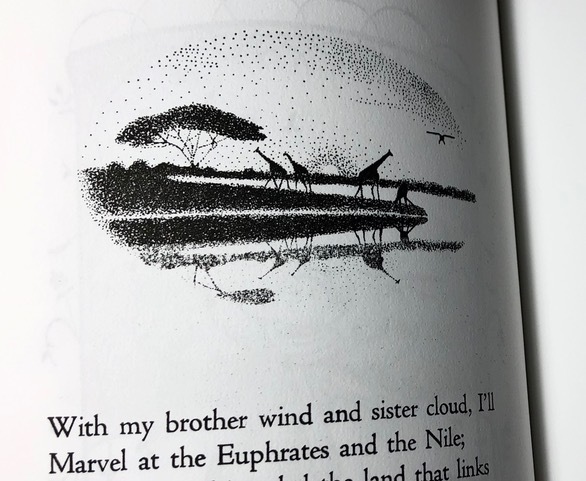 An Israeli journalist translated the poem into English, my friend Malgorzata saw it in the newspapers, and she asked to see the original manuscript (written in Polish). Malgorzata and her friend Sarah Lawson then translated the poem into English themselves. I posted their translation on my website, Kelly Houle saw it, and she decided to make a book from the poems. Kelly’s description of the handmade and hand-printed book (just finished) is below. It’s a beautiful book (Malgorzata called it the most beautiful book she’s ever seen), and if you want a lovely and touching present for yourself or someone else, I’d urge you to buy it. Abramek, like Anne Frank, must stand for all the unknown children, and all the potential talents and accomplishments, that were snuffed out by the Nazis. Eliezer has seen the book and I’m glad he was alive to see this come to fruition. (He loves the book.) You can keep the memory of Abramek alive, too. 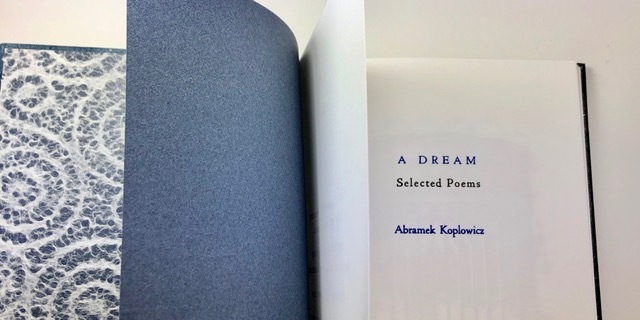 A Dream: Selected Poems by Abramek Koplowicz (1930-1944), is a collection of five poems written by the author at age fourteen, the last year of his life, in the Łódź Ghetto. This edition is the first printed publication of the English translations by Małgorzata Koraszewska and Sarah Lawson. Sarah also wrote a special introduction for this edition. The book is dedicated to Lolek, Abramek’s stepbrother, who also survived the Holocaust and has worked tirelessly to see his brother’s work more widely appreciated. Lolek discovered Abramek’s notebook in his family’s home after the death of his parents in the 1980’s. Thanks to Lolek’s efforts, we have Abramek’s poems and writings, which offer a rare look into the mind of a child writing during the Holocaust. A Dream is fully illustrated by Kelly M. Houle with stippled pen and ink drawings. The entire book was typeset by hand and letterpress printed on an antique Chandler and Price platen press over a period of six months. 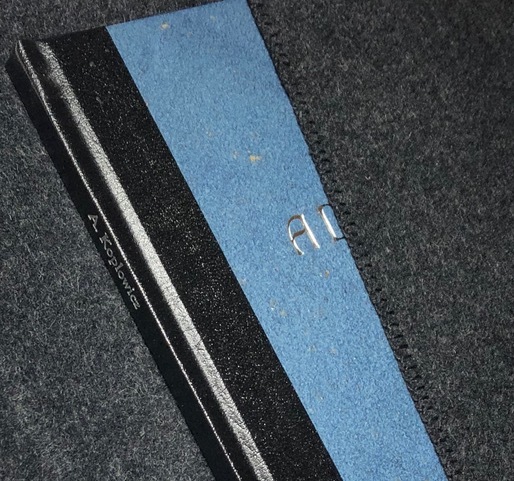 The front cover was bound in handmade deep blue “Starry Night” Cave paper with embedded mica shards and black imitation leather that wraps around the spine and back cover. The cover and spine are stamped with shiny silver foil. The Merino wool book wrap fastens with an antique 1930’s coat button. The print is custom matted in blue with a Nordic gold Polish coin commemorating the 65th anniversary of the liquidation of the Łódź ghetto. 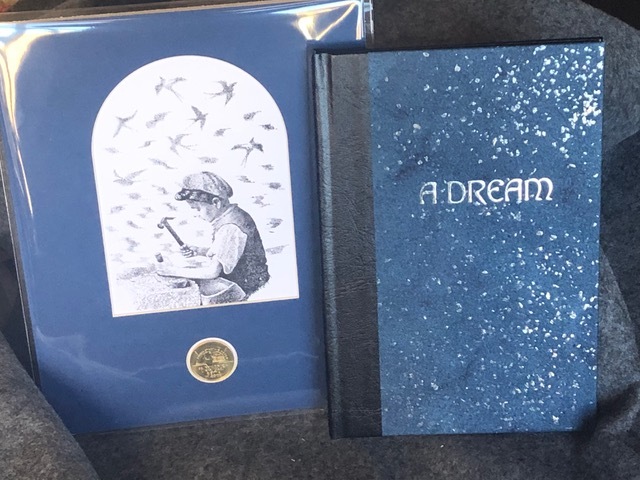 The coin shows a drawing by Abramek Koplowicz, which he had sketched in his journal along with his many poems and plays. Copies of the book and print can be ordered here. [JAC: that site has additional illustrations]. Special wood blocks had to be cut to arrange the letters to fit the curves in the above illustration. The image of the vines was printed first, then the words were printed onto those pages in a second run. Each curved line of text required a complete run. This entry was written by whyevolutionistrue and posted on February 2, 2019 at 2:30 pm and filed under art, books. Bookmark the permalink. Follow any comments here with the RSS feed for this post. Both comments and trackbacks are currently closed. I love the craft work of this, and especially the result – it captures a certain mood, something 19th-century-ish, not sure. I maintain that a careful eye will discriminate the genuine crafts-person-ship from all-computer-generated counterparts. It is indeed heart-wrenching to read that first poem and know what happened to Abramek’s dream. I find his artwork exceptional as well as his poetry, the spirit of which I think is evident in the translation. The fate of Abramek is heartbreaking. Bravo to all who contributed to this book! Where would one find this book for sale? It is available to buy online only. Go HERE & click the “Buy Now” button near the bottom of the page. Completely safe transaction since it is mediated by PayPal Buyer Protection [money back in the unlikely event the goods are lost/undelivered]. The story is so moving and the illustrations and printing are truly works of art. 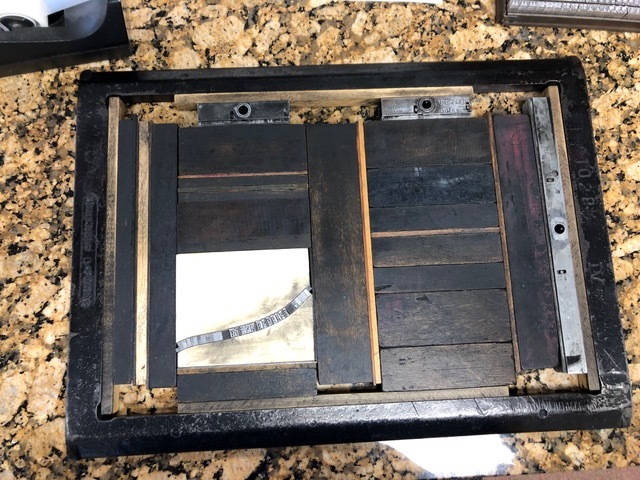 I love the look of letterpress. 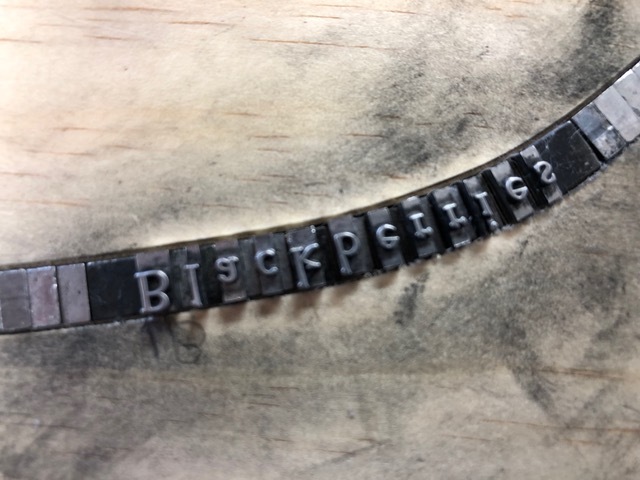 Here’s what I learned at a relative’s printing shop in Norway: the capital letters and small letters were kept in cases one above the other, thus: Upper Case and Lower Case letters. 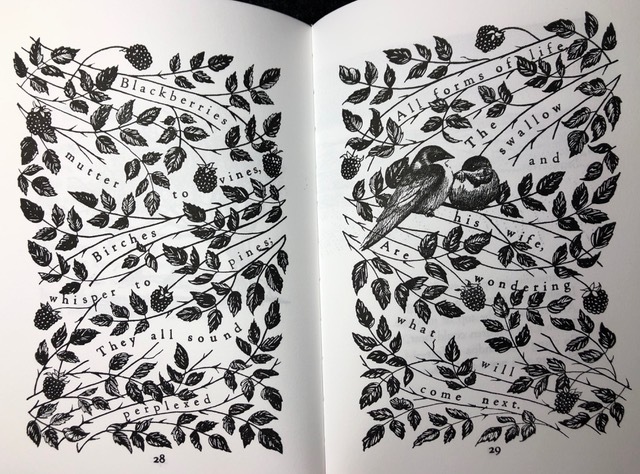 I am in awe of the artist’s ability to create a loving book, out of a tragedy. The boy, with only two years of education, wrote with such hope and love of the future. Kelly Houle has done an outstanding job presenting his story, and her artistry is on a level, I have never seen. Jerry, I hate it when you make me cry. Hence, “cut to the chase”, and probably “chasing something up” ?